Okay, here we go. Preheat your oven to 350. 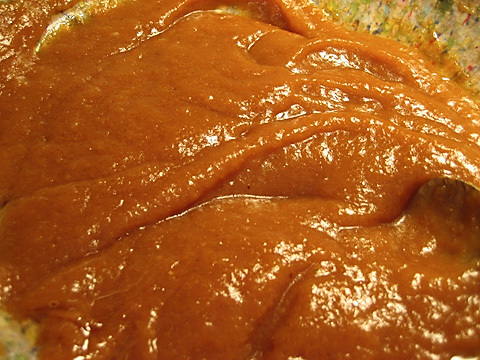 Combine the pumpkin, sugar, vegetable oil, and egg in a large bowl. Mix together the flour, baking powder, cinnamon, and salt in another bowl; dissolve the baking soda in the milk, and add that in as well. 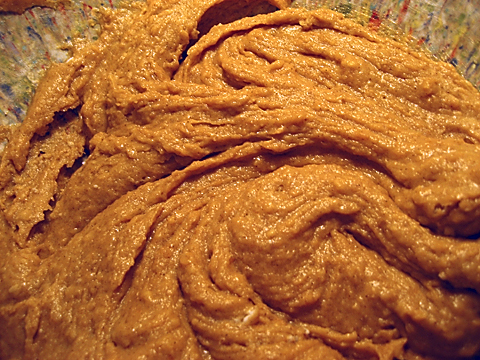 Stir the flour mixture into the pumpkin deliciousness. Stir in the vanilla and chocolate chips. Just try to resist tasting some of the dough, I dare you. If you’re adding peanut butter, I would suggest doing it now, at the end; add it a bit at a time and taste along the way until it gets to the level you want. 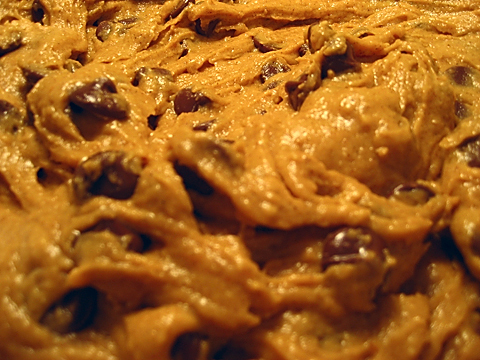 So, I really like taking pictures of cookie dough. I don’t know if you could tell. 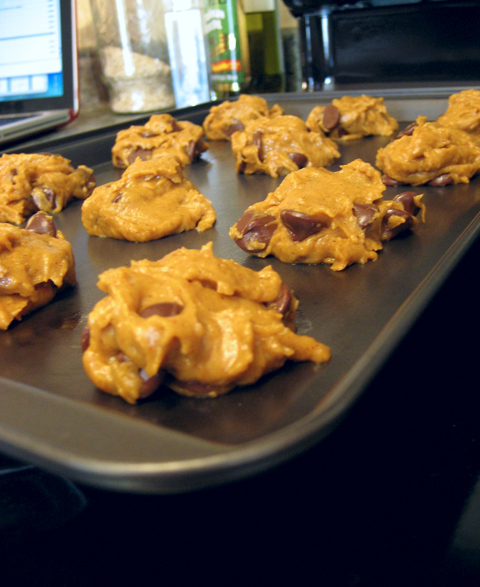 Form the cookies into balls and place on a greased cookie sheet. The recipe says you get 16 large cookies out of it, but I made reasonably-sized cookies (not huge, certainly, but definitely not small) and I got 30 cookies, so go figure. I’m not complaining. Bake for 10-15 minutes. I erred towards the side of 10 minutes and I think they could have used a bit longer in there, so check on them and use your judgment. 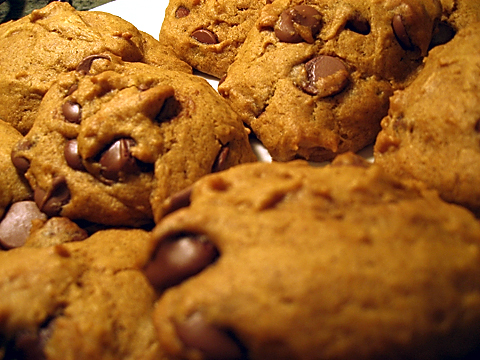 You are currently reading Pumpkin Chocolate Chip Cookies at Nombudsman.